“Ask now about the former days, long before your time, from the day God created man on the earth; ask from one end of the heavens to the other. Has anything so great as this ever happened, or has anything so great as this ever happened, or has anything like it ever been heard of? Has any other people heard the voice of God speaking out of fire, as you have and lived? Has any god ever tried to take for himself one nation out of another nation, by testing by miraculous signs and wonders, by war, by a mighty hand and an outstretched arm, or by great and awesome deeds, like all the things the Lord your God did for you in Egypt before your very eyes? Acknowledge and take to heart this day the Lord is God in heaven above and on the earth below. There is no other. Keep his decrees and commands, which I am giving you today, so that it may go well with you and your children after you and that guy may live long in the land the Lord your God gives you for all time”. “Because those who are led by the Spirit of God are sons of God. For you did not receive a spirit that makes you a slave again to fear, but you received the Spirit of sonship. And by him we cry Abba Father. The Spirit himself testifies with our spirit that we are Gods children. Now if we are children, then we are heirs-heirs of God and coheirs with Christ, if indeed we share in his sufferings in order that we may also share in his glory”. From these verses, dear brothers and sisters in Christ, light radiance and grace are in the Trinity and from the Holy Trinity, to the follower of Christ and his witness, you have to be in live relationship in God of Trinity, that’s distinguish us from the false followers. The grace remains together with the truth, since God is true, we have to worship in truth and spirit. In first reading we see how Israelites have known God the Father by his actions and provides enough evidence to demonstrate his great love, and He expect our response, our love and our results, turning to his path, our daily path for walking with Him. We see in ourselves how God has chosen each of us, everyone has events that we have to share with one to another for encouragement. 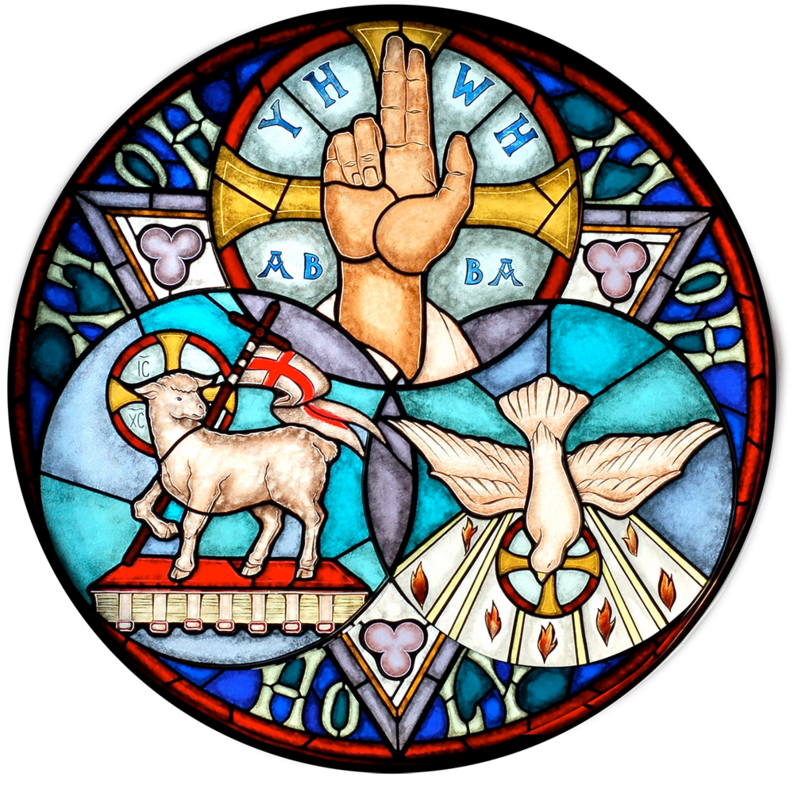 In the second reading of Romans, we see step by step a full image of the Holy Trinity, the gifts and strength that we receive from the Holy Spirit dispenses to individuals are given by the Father through the Word for all that belongs to the Father, belongs also to the Son so the graces given by the Son in the Spirit are true gifts from the Father. Such a big meaning, especially to someone not worth as I am not worth to be called Gods child, not slave anymore. When the Spirit dwell in us, the Word who bestows the Spirit is in us too, this sanctify us, adopt us, makes us heirs, sons and our body temple for Gods Holy Spirit. In third reading of Gospel according Saint Matthew our risen Lord Jesus Christ has commanded us to be his preachers of God’s Word to the end of the earth, baptizing in the Holy Trinity, the foundation of our faith, truly worshiped God the Father, God the Son, God the Holy Spirit, the teachings and faith of the Universal Orthodox Catholic Apostolic Church which was revealed to us from God, and from these three examples of Holy Scripture, is proclaimed by the apostles and guarded by the fathers, teaching us that the Holy Trinity is not a blend of creative and created being, but it is a wholly creative and energizing reality, self-consistent and undivided in its active power, for the Father makes all things through the Word and in the Holy Spirit, this what according Church Fathers is described, cos is a huge mystery for our human mind. Gods gives wisdom to contemplate his Trinity and reveal truths.